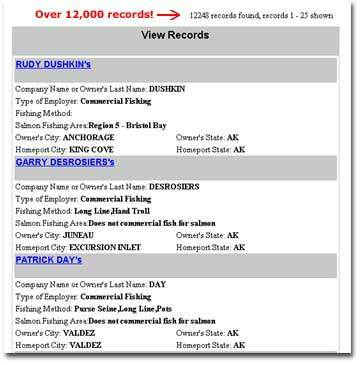 In the Members Section we have two databases with detailed profiles on over 12,000 employers in Alaska’s fishing industry. We also have a Featured Jobs section listing current job openings. This database contains detailed profiles of the companies in the industries we cover. It also includes contact information and information on how to apply for jobs at these companies. 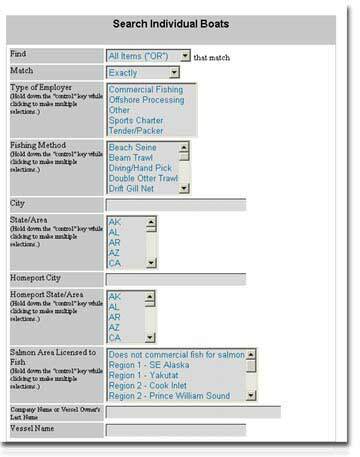 This database contains detailed profiles of each of the over 12,000 individual fishing boats that fish in Alaska. 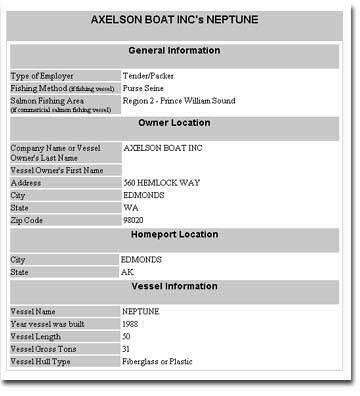 This is a great resource to help you find deckhand positions on fishing and crabbing boats.